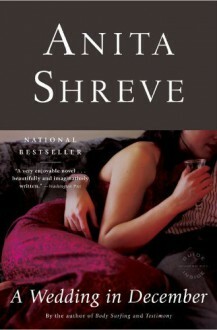 Engrossing novel by award winning athor Anita Shreve. At an inn in the Berkshire Mountains, 7 former schoolmates gather to celebrate a wedding. It is a reunion that becomes the occassion of some astonishing revelations as the friends recall a long-ago night that is indelibly marked in each of their lives. A Wedding in December acutely probes the mysteries of the human heart and endless allure of paths we take and choose not to take in our day-to-day decisions.